Forced into an arranged marriage, Marianne, a slightly plump and plain daughter of a social climbing merchant, and Andrew, the recognized fop of the ton and son of a constantly beguiled earl, have little more in common than the spark that happens when their fingertips touch. But they will do their duty for their respective families. When Andrew disappears and is pressed into service on a merchant vessel, Marianne must fend for herself as her condescending, disrespectful father-in-law kicks her out of the family town house and hounds her to relinquish her dowry. 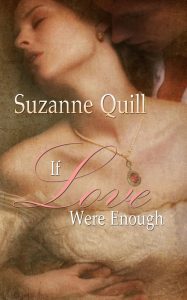 But what happens four years later when Andrew returns looking and acting nothing like the fop he was only to discover his now beautiful, self-sufficient wife is being courted by a new suitor? This is the fifth book in the The Order of The Crimson Lotus Series. Allen Ridgefield, Earl of Ridgecrest, no longer has a need for love, having had his heart crushed two days before his wedding when his childhood sweetheart fell from her horse and died. Ten years later, he desperately seeks a marriage of convenience in order to meet the terms of his father’s will and retain his estates and title. Lady Angeline Hartley, an heiress by birth, a spinster by choice, would let no man destroy her serene and orderly life. If she could not have love, she preferred to live her life alone. 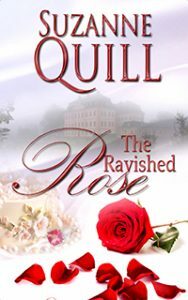 Geoffrey Chisolm, unexpectedly a marquess after the death of his cousin, must now give up his rake’s ways to find a wife to provide an heir and run his household. If she were beautiful and passionate, all the better. Little did they expect when first they met that Geoffrey would entice Angeline with the promise of sexual passion while Angeline would gift Geoffrey with the depth of her love. Denied the right to marry his beloved Jessica due to his depleted estate, Jonathan Stratton, the Earl of Sheffield, travels the world in search of his fortune. Not only does he gain wealth, he learns the ancient Tantric sexual teachings of the Order of the Crimson Lotus. Returning after a five-year voyage, which was only supposed to take three, he finds Jessica more beautiful and desirous than when he left and married to another. Heiress Jessica Esterly, Lady Wickham, is beside herself. Forced to marry a man she did not love, she then discovers him to be a debauched, avaricious rake. To make matters worse, she’s having nefarious nightmares and hauntings that threaten to drive her mad. How will she tell Jonathan of her impending madness? Or that her husband will kill her rather than forfeit the fortune her inheritance provides? This is the second book in The Order of The Crimson Lotus Series. Priscilla Brunell, Marchioness of Rutherford, is in desperate need of a son and heir. Her seventy year old husband of ten years has died leaving her a virgin, due to his impotence, and the protectress of his estates, successfully maintained for three hundred years. If she can’t produce a son in the next nine months, the current heir will succeed in ruining the family fortunes in a matter of years due to his gaming and womanizing. Dare she ignore her morals and pass another man’s child off as her husband’s? Can she do so without losing her heart? Soon to be the Viscount Brookfield, Brandon Bradley arrives at a house party, at the insistence of his dying father, to renew. In all rights he should be home marrying Estella and begetting his heir. But he has a hesitation there he can’t explain, only sense. Estella is pleasant enough, attractive enough, but in all their years of friendship he has never felt anything but coldness and distance from her. Then he meets Lady Rutherford. Not only can she help him through his grief, he is immediately attracted to her. Can he let down his father and Estella merely for his own benefit? Can he break the pattern of society and marry for love?